Aerial photograph of the Huefi Glacier, Glarus Alps, Switzerland. Huge ice blocks are breaking down at the front of the retreating Huefifirn ice tongue. The glacier lost 800 metres in length between 2000 and 2007. 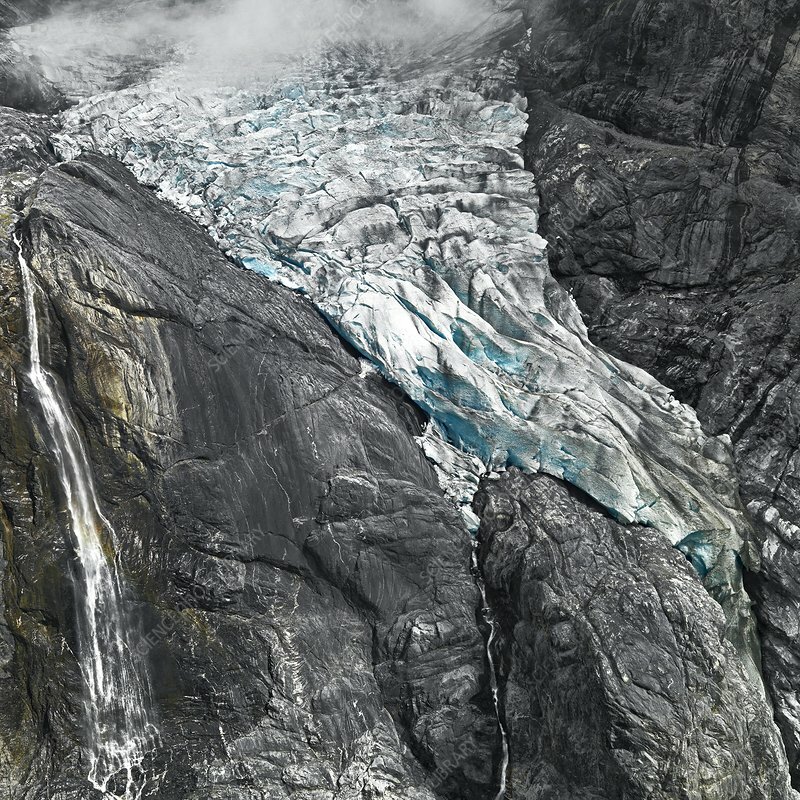 The melting ice exposes dark rock walls with bright veins, which have been polished by the sand and stones the creeping glacier drags along its route.